The Tom George-trained God's Own capitalised on 1/5 favourite Vautour's fall and took the Grade One JLT Melling Chase by two and three quarter lengths from Al Ferof at odds of 10/1. Paddy Brennan rode the Oscar eight-year-old, who finished fourth behind Sprinter Sacre in the Queen Mother Champion Chase at the Cheltenham Festival last month. George said: "You have to feel for Vautour, but these things have happened to all of us, and you have to take advantage of it. Luckily both horse and jockey got up ok.
"God's Own has won a Grade One already in his career and people forget about him a lot. There has been a lot of hard work at home and it's great to get it right on the big day. "Paddy has ridden for us a long time now and we know him well. We keep working together and enjoying big days like today." He continued: "God's Own has been placed a lot, he's got solid Grade One form, and we probably should have shouted for him a bit more, but we kept quiet and did our own thing, and luckily his results are now speaking for us. He came out of Cheltenham well - he's not the easiest horse to train, you have to know him well and we do know him well. It's a fine line between overdoing it and underdoing it and everyone at home has put a lot of effort into it and he's peaked today. "He's probably better going right-handed, he does go a bit right at his fences, but Paddy's got to know him very well. He had a few mishaps last year, like at Sandown, but it's all come right today. "We've been hitting the goalposts a lot recently and it's nice to get one back in the net. Today's a big day and it would be brilliant if Saint Are could go one place better [in the Crabbie's Grand National], but everything has to go right for him. "As long the ground is as good as today or better, God's Own will go to Punchestown. He's a very fresh horse; we'll see how it is but that's the plan." Al Ferof is one of God's own. A fabulous performer over many seasons, he gave another old-warrior's performance today, succumbing only to the Tom George-trained God's Own after straining every sinew to get past his younger rival. George's horse, a 10/1 shot, won by two and three-quarters of a length, while Al Ferof, who started at 15/2, finished nine lengths ahead of third-placed Clarcam. The favourite, Vautour, who started at 1/5 following his win in the Ryanair Chase at The Cheltenham Festival, jumped big at the ninth fence when leading, landed steeply and fell, but both he and rider Ruby Walsh were unscathed. For Dan Skelton, who took over the training of Al Ferof this season from his former boss Paul Nicholls, Al Ferof is a legend. He said of the John Hales-owned 11-year-old: "He's magic, but I would so love to win a Grade One with him. When Vautour fell I just said to myself 'Aw, I wish I hadn't taken him [Al Ferof] to Cheltenham [where he finished fourth to Vautour] to keep him fresh for this, but that's how things work out. "He's run his heart out and is as brave as a lion - he tries his hardest. He was tapped for toe half way down the back but never gave up and has been beaten by a horse who has nothing on him in terms of ratings, but is three years younger. "That has been the difference, simple as that. "He's 11 years old and is running out of runway. He's highly unlikely to go to Sandown because he's put it all in today, but he might go to France for the valuable Prix La Barka, a nice hurdle race. Other than that we'll bring him back next year and see what he says - we're not thinking of retiring him because he's trying his hardest, but we'll always do the right thing by this horse." 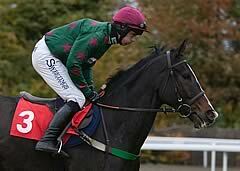 Grade One winner Somersby, one of the most popular chasers in training, has been retired after finishing fourth. Hardly ever absent the best two-mile chases in recent times, Somersby started life in training with three-time Gold Cup winner Henrietta Knight and moved to Mick Channon when she retired in 2013. The son of Second Empire was always known for his dependability. In a 41 race-career, he won seven races, finishing second in 12, third in seven and fourth in another seven. The highlight of his career came when landing the Grade One Victor Chandler Chase at Ascot in 2012, beating Finian's Rainbow, who went on to win the Betway Queen Mother Champion Chase later on in the season. The 12-year-old's owner Tim Radford said: "We were absolutely thrilled, just delighted. 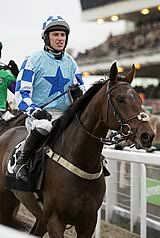 He ran so well again, but we have decided that he will now be retired. He has run so many times and come second or third in nearly half of them. He's great. "It will be sad to see him go, but he's done enough. He's 12 years old and I think it's time he went to have another career. He is going to go to retraining of racehorses with Helen Newbold, where Calgary Bay went after he finished and he'll have a great time."